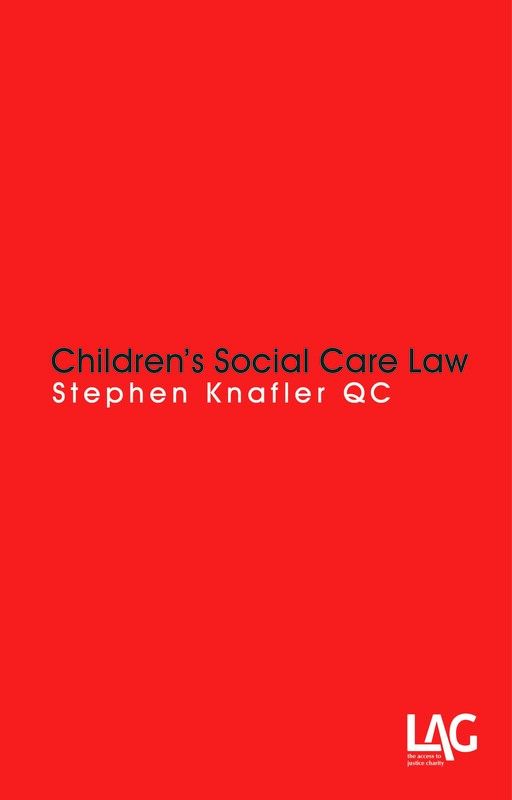 In a series of posts, Stephen Knafler QC, and colleagues at Landmark Chambers, will examine in detail key provisions of the Children and Social Work Act 2017 and consider how they fit into the wider picture of children’s social care. Section 1 of the Children and Social Work Act 2017 (the Act) requires local authorities to prioritise the welfare of ‘looked after’, ‘relevant’ and ‘former relevant’ children (referred to in the Act as ‘relevant children and young persons’ (RCYP)) whenever they discharge any of their functions in relation to them. It does this through the corporate parenting principles (CPP), which comprise seven ‘statutory needs’, and through statutory guidance. The purpose of the CPP is to significantly improve the welfare and life chances of RCYP by requiring local authorities to prioritise their welfare at all times. That does not necessarily require different outcomes, in cases where there are important countervailing considerations, such as a lack of resources. However, the statutory guidance certainly envisages that there will be improved outcomes – as a result of local authorities giving proper consideration to the welfare of RCYP when previously they might not have done, or as a result of local authorities being unable to justify an adverse outcome, having given prior consideration to the CPP. Inevitably, as a relatively powerful process requirement, the CPP are likely to give rise to and/or loom large in judicial reviews of local authority decision-making in relation to RCYP. The first post in this blog examined the legal content of the CPP; this second post is intended to be more practical and explores how the CPP should be implemented and some of the legal issues that are likely to arise. Joint Strategic Needs Assessments (JSNA) and Joint Health and Well-being Strategies (see para 4.27 of Children’s Social Care Law). establish bodies such as a Children in Care Council or Care Leavers Forum and use online surveys, websites and other forms of modern technology to ascertain and take into account the views of RCYP to ‘feed in’ to general policy-making and strategy. For example, some local authorities have developed apps that allow RCYP to communicate how they feel about the services they are receiving, to social workers and other professionals, such as advocates. Many local authorities have established Corporate Parenting Boards or Panels, to look strategically at how children and care leavers experience their services (para 3.1 of Applying CPP). local authorities appoint a Young Director (and apprenticeship for a care leaver, to mirror the work of the Director of Children’s Services). Section 1(1)(d) refers to the need to help RCYP to ‘gain access to, and make the best use of, services by the local authority and its relevant partners’. (For the definition of ‘relevant partners’ see above). how these services can be publicised, eg by a supplement to the ‘local offer’ under section 2 of the Act. Nothing prevents a local authority endeavouring to undertake the same exercise with other organisations that are not ‘relevant partners’, eg local voluntary organisations or indeed commercial entities, and it would be consistent with the CPP to do so. Already in place, section 10 of the Children Act 2004, requires local authorities to make arrangements to promote co-operation between ‘relevant partners’ with a view to improving the well-being of children in the area (and section 10(5) requires ‘relevant partners’ to co-operate, in turn, with local authorities). The CPP requires that, when local authorities and ‘relevant partners’ co-operate with each other, in making arrangements to promote the well-being of children in the area, local authorities should seek to include a focus on the CPP, so that the arrangements made promote the CPP. That entails, as a minimum, ensuring a shared understanding of the needs of RCYP and ensuring that arrangements for multi-agency working take account of those needs. Again, nothing prevents a local authority from endeavouring to make similar arrangements with other bodies who are not ‘relevant partners’ (eg the Home Office and voluntary organisations) and it would be consistent with the CPP to do so. working collaboratively with universities to link care leavers into higher education. the CPP, and the guidance directly associated with it, need to be considered together with statutory guidance specific to migrant children, eg Care of unaccompanied migrant children and child victims of modern slavery. See also Safeguarding strategy: unaccompanied asylum-seeking and refugee children. The NRPF Network also emphasises the importance of undertaking meaningful care planning for migrant children and helping them to achieve a sustainable form of immigration status, as well as, importantly, obtaining their views and input in relation to policy development and services generally. The CPP will obviously be relevant to assessments of need for RCYP. It would be (to put it mildly) good practice and prudent for assessment documents to record, explicitly, that the assessor has had regard to the CPP and, indeed, to set them out. That would not, however, be enough by itself. The assessment will need to show that, as a matter of substance, the assessor did have regard to the CPP. To give an obvious example, if the assessment does not record the views of the RCYP, it will be difficult to show that, in substance, the assessor had regard to the need at section 1(1)(b), ‘to encourage those children and young people to express their views, wishes and feelings’. Again, therefore, it would be highly advisable for important work with individual children (eg care and pathway plans, and reviews) to include a section that explains how the process has taken into account each of the seven ‘needs’ within the CPP. A failure to do so would, at best, amount to very poor social work practice. Social workers and others will need to show how they have applied the CPP to specific problems that may arise in relation to individual RCYP, whether those problems are addressed in a needs assessment (as ought normally to happen) or elsewhere. So, for example, suppose a RCYP presents with ‘challenging behaviour’: a specific example given in Applying CPP, at paragraph 4.5, is the need to consider encouraging carers and professionals (and other agencies, such as the police) to use restorative justice and to understand and ameliorate the underlying causes of the behaviour (under section 1(1)(a) of the Act). The duty is ultimately one of substance. Accordingly, where it is clear that, in substance the decision-maker de facto took into account the CPP – for example, by encouraging the relevant RCYP to express their views, wishes and feelings – the decision-making process ought to be safe from legal challenge. However, it is more than simple prudence or good practice to make express reference to the CPP and to provide a reasonably clear explanation, contemporaneously, as to how the ‘seven needs’ were taken into account. The CPP embody a very important duty. A failure expressly to address them may well not call into question the lawfulness of the decision-making process when that process touches upon areas that are relatively distant from mainstream decision-making about children and where it is, also, clear, that in substance consideration was given to relevant aspects the ‘seven needs’. But where the challenge is to assessment and care planning in relation to individual RCYP, or to strategic decisions that have a direct bearing upon RCYP (eg JSNAs, or service closures decisions), a failure expressly to address the CPP ought to be seen as such poor practice as to invite especially robust consideration on the part of the court, and a quashing of the relevant decision-making unless it is clear that, despite such incompetence, the substance of what is required truly was performed. under section 149(1) of the Equality Act 2010, which requires local authorities to ‘in the exercise of its functions, have due regard to the need to … eliminate discrimination … advance equality of opportunity … foster good relations between persons who share a relevant protected characteristic and persons who do not share it’. As to the relevant case-law on these duties, see chapter 4 of Adult Social Care Law and chapters 1 and 2 of Children’s Social Care Law. as a set of ‘governing principles’ for children, the CPP are pretty feeble. Not only do they only apply to RCYP and to local authorities (cf other public bodies, and private organisations involved with children), they are some way distant from incorporating the most basic obligation, that all public authorities and indeed all private organisations concerned with the welfare of all children, should be required to comply with, found in Article 3 of the United Nations Convention on the Rights of the Child (‘In all actions concerning children, whether undertaken by public or private social welfare institutions, courts of law, administrative authorities or legislative bodies, the best interests of the child shall be a primary consideration’). Accordingly, the point can be fairly made, that Parliament has chosen to impose a significantly lesser obligation and that the courts should respect that choice. decision-making may be treated as unlawful where it contains only token references to the CPP and a ‘tick box’ or ‘formulaic’ approach and where the decision itself and the contemporaneous material fails to show, expressly or by implication, that the substance of the CPP was in truth taken into account. Further, although the CPP are comparable with the other general process duties referred to above, there are some differences. The ‘seven needs’ are quite specific and are closely geared to issues that are likely to arise, that affect relevant children and young persons. Accordingly, they are likely to result in a higher degree of judicial scrutiny. For example, one of the needs, to which regard must be had, is the need to help RCYP to ‘gain access to, and make the best use of, services provided by the local authority and its relevant partners’. In the case of an individual assessment/care planning process, it may be difficult for a practitioner to demonstrate that he or she did truly have regard to this need unless they can demonstrate that they took positive steps to identify what relevant services were available and to make a reasonable effort to facilitate the RCYP gaining access to them. In this first post, Stephen provides an introduction to the corporate parenting principles (CPP). This will be followed shortly by a post relating to the implementation of those principles. Section 1 of the Care Act 2014 creates a set of governing principles, aimed at ensuring that the well-being of adults is central to the discharge of local authority functions under that Act. Section 1 of the Children and Social Work Act 2017 (‘The Act’) goes further and requires local authorities to prioritise the welfare of ‘looked after’, ‘relevant’ and ‘former relevant’ children (referred to in the Act as ‘relevant children and young persons’ (RCYP)) whenever they discharge any of their functions in relation to them. It does this through the Corporate Parenting Principles (CPP), which comprise seven ‘statutory needs’, and through statutory guidance. The purpose of the CPP is to significantly improve the welfare and life chances of RCYP by requiring local authorities to prioritise their welfare at all times. That does not necessarily require different outcomes, in cases where there are important countervailing considerations, such as a lack of resources. However, the statutory guidance certainly envisages that there will be improved outcomes as a result of local authorities giving proper consideration to the welfare of RCYP when previously they might not have done, or as a result of local authorities being unable to justify an adverse outcome, having given prior consideration to the CPP. Inevitably, as a relatively powerful process requirement, the CPP are likely to give rise to and/or loom large in judicial reviews of local authority decision-making in relation to RCYP. Here we look closely at the content of the CPP and explore how the principles should be implemented and the legal issues that are likely to arise. otherwise, local authorities and some other public bodies (including the NHS, the police and the Secretary of State for the Home Department) are required to make arrangements to ensure that their functions are discharged having regard to the have due regard to the need to safeguard and promote the welfare of children: section 11(2) of the Children Act 2004.
on the other hand, although the CPP only apply directly to local authorities, and only to limited classes of children and young persons, the CPP do comprise seven very specific ‘needs’. One suspects that the power of the CPP will derive from the range and specificity of these seven needs. They are designed to, and will, impose a great deal on the thought process of a conscientious decision-maker; undoubtedly, also, they will make it difficult for the less conscientious, or well-informed, decision-maker, to sustain the lawfulness of their decision-making. The CPP are found in section 1 of the Act, at the start of Part 1. They came into force on the 1 April 2018. Part 1 of the Act also includes a variety of specific steps which local authorities are required to take, to improve the welfare and life chances of ‘looked after’ children and ‘care leavers’. The CPP, by contrast, comprise general principles that local authorities are required to ‘take into account’ and they have very wide effect. They are required to be taken into account not just when a local authority is discharging a function under the Act or the Children Act 1989 or one of the other enactments that specifically applies to children but, also, whenever a local authority discharges any function that has an impact on RCYP, whether that function is the local authority’s social care function, or its waste collection function – and everything in between. sections 8 to 10 make further provision in relation to care orders, adoption and secure accommodation. It is clear from the language used in section 1 of the Act that the purpose of enacting the CPP is to influence and permeate the mind-set and culture of local authorities, from top to bottom, and across the whole range of local authority activity, so that whenever a local authority contemplates taking action that is relevant to one or more RCYP it brings the anxious concern of a pragmatic but loving, aspirational and enlightened parent to bear. para 1.3 (‘A strong corporate parenting ethos means that everyone from the Chief Executive down to front line staff, as well as elected council members, are concerned about those children and care leavers as if they were their own. This is evidenced by an embedded culture where council officers do all that is reasonably possible to ensure that the council is the best ‘parent’ it can be to the child or young person’). In particular, one thing that the CPP do through the statutory guidance, Applying CPP, is to enable and strongly encourage dynamic and thoughtful local authorities to innovate new solutions for promoting the welfare of RCYP in all the variety of ways that enlightened and aspirational parents would – from promoting their educational achievement through to higher education, to providing apprenticeships, to setting up bank accounts, Junior ISAs and so on. Applying CPP contains a large number of examples of good practice, clearly designed to encourage and legitimise creative efforts to improve the life chances of RCYP. Unfortunately, that ‘best parent’ very often has seriously limited resources and one of the problems with the CPP is that it continues to allow limited resources to justify local authority action that is significantly adverse to the best interests and welfare of RCYP (see below). 1.15 The responsibility of local authorities in improving outcomes and actively promoting the life chances of children they look after has become known as ‘corporate parenting’ in recognition that the task must be shared by the whole local authority and partner agencies. The role of the corporate parent is to act as the best possible parent for each child they look after and to advocate on his/her behalf to secure the best possible outcomes. Section 1 of the Act gives statutory force to seven aspects of good parenting, to be known as the CPP. Paragraph 1.5 of Applying CPP explains that CPP ‘comprise of seven needs that local authorities in England must have regard to whenever they exercise a function in relation to looked-after children or care leavers’. (g) to prepare those children and young people for adulthood and independent living. An immediate and rather fundamental query arises: does the duty to ‘have regard to the need’ to, for example, ‘act in the best interests’ of RCYP mean that local authorities are under a duty to ‘act in the best interests’ of RCYP? The answer is, unfortunately not. The duty is a duty to take into account that local authorities need to act in the best interests of RCYP, but it is not a duty to actually act in the best interests of RCYP. Equally, it is not a duty merely to take into account the desirability of acting in the best interests of the RCYP – ‘need’ is much stronger than ‘desirability’. It is a strange way of legislating, albeit one that seems to have become fashionable. On one view, local authorities are required to exercise their functions on the basis that it is necessary to, for example, ‘act in the best interests’ of RCYP so that they must ‘act in the best interests’ of RCYP unless that would result in disproportionate damage to some other, important consideration. On another view, local authorities may be required to do no more than bear in mind that, in principle, it is very important to, for example, ‘act in the best interests’ of RCYP, and remain entitled to form their own view (subject only to a conventional public law challenge) as to how important that is, in the particular circumstances of the case and as to what weight to be attached to countervailing considerations. That is the approach that has been taken in the context of the PSED: see R (Bracking) v Secretary of State for Work and Pensions  EWCA Civ 1345, (2013) 16 CCLR 479 at para 26(8). (fe) the Secretary of State, in relation to the Secretary of State’s functions under section 2 of the Employment and Training Act 1973. Section 1(4) of the Act provides that a ‘local authority in England must have regard to any guidance given by the secretary of state as to the performance of the duty under subsection (1)’. The most relevant statutory guidance is Applying Corporate Parenting Principles to looked-after children and care leavers: statutory guidance for local authorities (‘Applying the CPP’). second, it provides helpful examples of how the CPP can be implemented, in a way that is designed to encourage and sanction innovative approaches, not just to meeting needs but, above all, to promoting the welfare of relevant children and young persons. Applying the CPP is, of course, required reading for all those in local authorities (officers and members) whose functions touch upon relevant children and young persons and, also, for relevant officers and members of ‘relevant partners’. Not only that, as a statutory ‘relevant consideration’, that is required to be taken into account, those who make decisions affecting relevant children and young persons will need to be able to show that they properly understood Applying the CPP,took it into account and acted in accordance with it unless they had a good reason to take a different course. As ever, the best way, by far, of demonstrating this thought process is by making a contemporaneous record of it, within the document that records the decision, or elsewhere in the associated paperwork. Get in on the Act, is a general guide, providing an overview – rather like an explanatory note – of the Act and what each section provides. The Corporate parenting resource pack is a (non-statutory) good practice guide, published by the Local Government Association. It emphasises that ‘[e]very councillor and officer within a council has a responsibility to act for [looked after] children and young people as a parent would for their own child’ and gives many useful examples of good practice, in this regard. It also makes the useful practical suggestion that all councillors and members of all committees ‘have a responsibility to consider how reports before them impact upon children in care and care leavers’ (page 5). Accordingly, it is worth considering including in all formal reports for decision-making, some reference to the CPP and to how what is proposed may affect relevant children and young people. As its title suggests, Support for care leavers resource pack, is focused more on sections 2 and 3 of the Act although, of course, section 1 and the CPP are highly relevant to those sections, and all other provisions elsewhere that bear upon the support provided for care leavers. The NRPF (No Recourse to Public Funds) Network website contains a useful reminder that the CPP do apply to trafficked and migrant children and explains why/how those particular categories of (particularly vulnerable) children should be supported. Children England provides at a high-level summary of main provisions of the Act, but a useful and clear one. Extending Personal Adviser support to all care leavers to age 25. Which children and young persons do the CPP apply to? In short, the CPP apply to ‘looked after’ children, ‘relevant children’ and ‘former relevant children’. children who were being ‘looked after’ by the local authority when they turned 18 and immediately before ceasing to be ‘looked after’ were ‘eligible children’ (see above). Which local authorities are under the duty? a combined authority established under section 103 of the Local Democracy, Economic Development and Construction Act 2009 (these are two or more local authorities that have combined together via an order made by the secretary of state, such as the Greater Manchester Combined Authority, North-East, Liverpool City Region, Sheffield City Region and West Yorkshire). When and how do the CPP apply? Section 1(1) of the Act imposes the CPP on local authorities whenever they are ‘carrying out functions’ in relation to RCYP. A local authority’s ‘functions’ are ‘all the duties and powers of a local authority; the sum total of the activities Parliament has entrusted to it. Those activities are its functions’: Hazell v Hammersmith & Fulham LBC  2 AC 1 at 29F. Accordingly, for all practical purposes, the CPP apply whenever a local authority does anything that could affect RCYP, under its existing responsibilities. second, on the other hand, the duty in section 1(1) is expressed as a duty to ‘have regard to the need’ to (for example) ‘act in the best interests, and promote the physical and mental health and well-being’ of RCYP. This betokens that the CPP will be more relevant in some contexts than in others. Paragraph 2.6 of Applying CPP explains that, ‘Local authorities will need to consider the extent to which the CPP are relevant to a particular service area or exercise of a particular function. This should be a reasonable and proportionate evaluation based on the extent to which the service/function is being carried out in relation to looked-after children and/or care leavers’. 3.4 The services that local authorities deliver can be broadly categorised into 14 different types of service. The service areas where consideration of the CPP are of most relevance are: education, social care, housing, libraries, leisure and recreation, strategic policies (such as health and well-being plans) and local tax collection. 3.5 The seven other types of service provided by local authorities include highways, transport planning, passenger transport, environmental health, waste collection, waste disposal and town and county planning. Looked-after children and care leavers access these services as residents of the local authority area, regardless of their legal status. These services are less likely to require differentiated service for looked-after children or care leavers and therefore the need to have regard to the CPP will either not apply or apply only in a limited way. This is because it may not possible to do anything towards meeting one or more of the identified needs or, although it may be possible, it is not appropriate to do so. 3.6 The way in which a local authority operates its corporate services is important to consider in relation to the principles. For example, the way a local authority acts as an employer can have an impact, such as by ring-fencing apprenticeships for care leavers. These opportunities can be provided in any department of the council regardless of the function it performs. For example, there is no reason why a care leaver could not be take up an apprenticeship opportunity in the highways department. All services can have a role in providing these opportunities for looked-after children and care leavers. This is different from providing a differentiated service, for instance, a differentiated service for looked-after children or care leavers in relation to a particular function such as waste collection. are less likely to apply, as being highways, transport planning, passenger transport, environmental health, waste collection, waste disposal and planning applications. 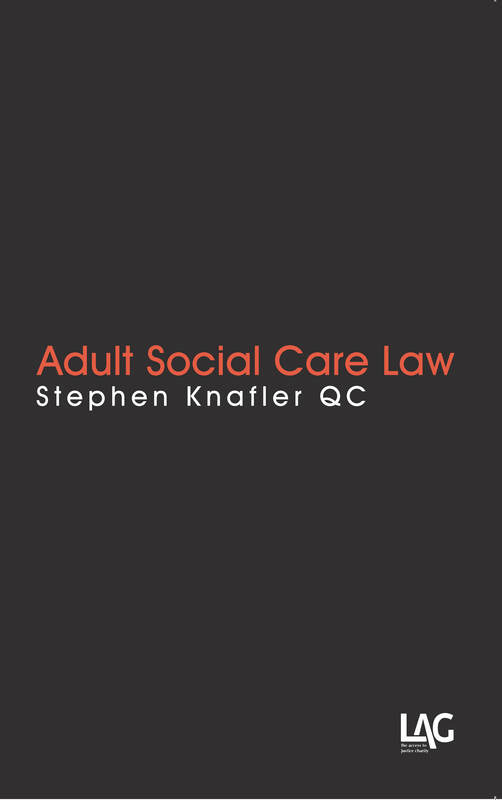 Children Act 1989 s23A(2); Care Leavers (England) Regulations 2010 SI No 2571 reg 3 and The Children Act 1989 Regulations and Guidance, Volume 3: Planning transition to adulthood for care leavers). See the relevant Parliamentary Briefing Paper at http://researchbriefings.parliament.uk/ResearchBriefing/Summary/SN06649. Enter your email address to follow Social Care Law and receive notifications of new posts by email.